The year is 1998, and our hero is a 14-year old dex digital. I would write out the story here, but it would take up too much space. This episode makes literally zero sense unless you've seen the intro. 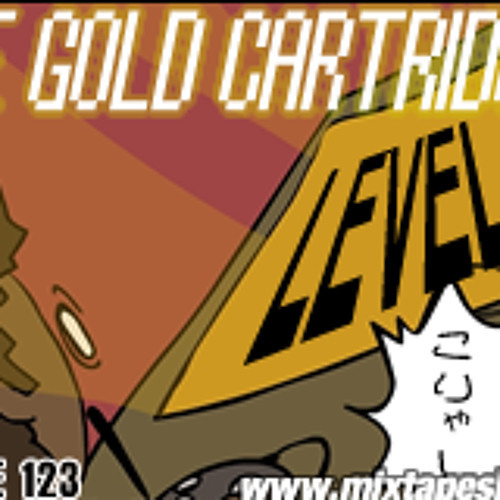 Check out the 42-panel comic book intro right here: http://mixtapeshow.net/0807/mixtape-123-the-gold-cartridge-level-1/ Tracklist: Instructionalude Serengeti Drop. J Bizness – Denice Paul White – City Bright Lights 時の過ぎゆくままに(Toki no sugi yuku mama ni) (NES) Meek Millz – One For The Money. Game/Realitylude Crash N The Boys (NES) Teenage Mutant Ninja Turtles (Overworld Theme) (NES) Finale – Motor Music (snippet). Alchemist – That’ll Work feat Three 6 Mafia (snippet). World 1-2 Wow, I forgot how whiny I was as a 14 year old. Racist Gamealude Street Fighter Intro. (SNES) Turbo – Gigaton Punch. Oh No – Lay You Out feat Redman. DJ Tour – Street Fighter Mix feat Mistah Fab. Outrolude Star Tropics 2 (NES) Afro Classics – The Follow Through.